While I'm personally more excited about the original work Nintendo can do with the Nintendo 3DS, I'll take remakes of great games while we wait. Star Fox 64 3D is a great example, and like the upcoming The Legend of Zelda: The Ocarina of Time, it sounds like Nintendo is making sure the update offers something fresh for players new and old. Speaking to retailers at a briefing in Japan, Nintendo revealed a handful of new details about the upcoming game. The game will be playable in three modes, for instance: 3DS mode, Nintendo 64 mode, and Battle mode. The 3DS mode will use the handheld's gyroscope to control your ship; the Nintendo 64 mode will likely use the 3DS circle pad for this movement. 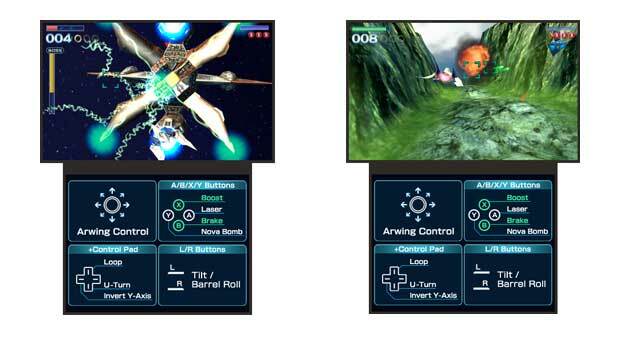 Star Fox 64 3D is out in Japan on July 14; it's expected to hit other territories later this year.